Peeled eggplant and sliced in 1/2 inch slices. Another eggplant recipe created due to a bumper crop. I don’t mind the skin on the eggplant but MIL doesn’t care for it. So feel free to leave the skin on as it is good either way, and the skin adds more fiber to the meal. 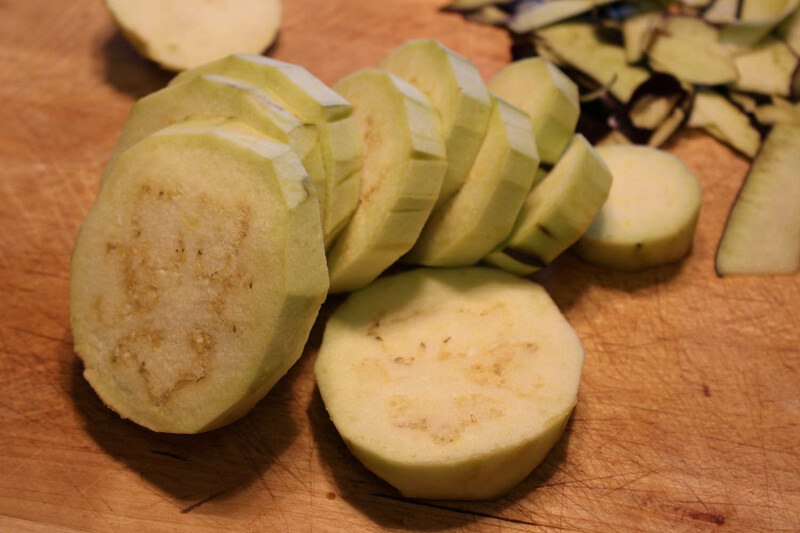 Peel eggplant and slice across wise forming circles about 1/2 inch thick but doesn’t have to be exact. 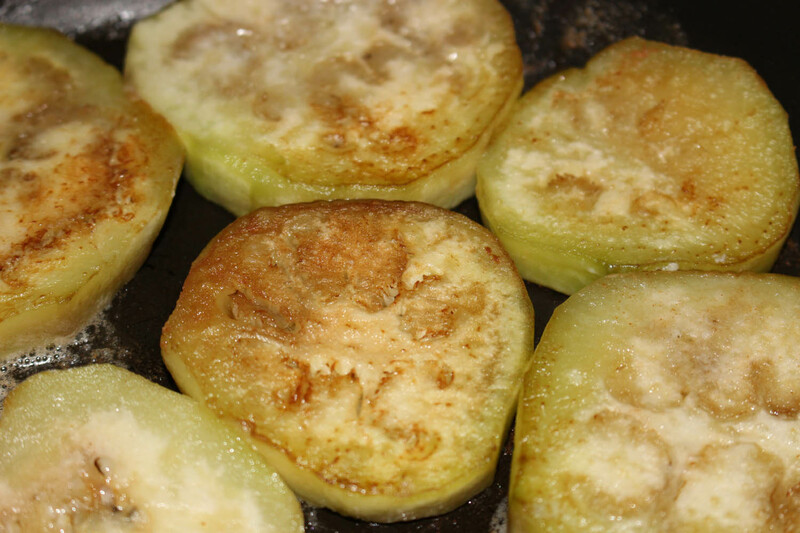 Add butter to skillet on medium high heat and saute eggplant circles on both sides for 3 minutes per side. Microwave onion in microwaveable container for 3 minutes, stir and microwave another 3 minutes. Saute onions for 5 minutes on medium heat in skillet that was used for sautéed eggplant, then remove from heat. Use a cookie sheet type pan with sides and line it with non-stick aluminium foil wrap. Place eggplant slices flat not overlapping on to non-stick aluminium foil lined pan. Mix onions with ranch dressing. Top each eggplant slice with onion mixture. Add mozzarella cheese on top of onion mixture. Sprinkle orange cheddar cheese on top of mozzarella. Sprinkle some seasoned salt over medallions.